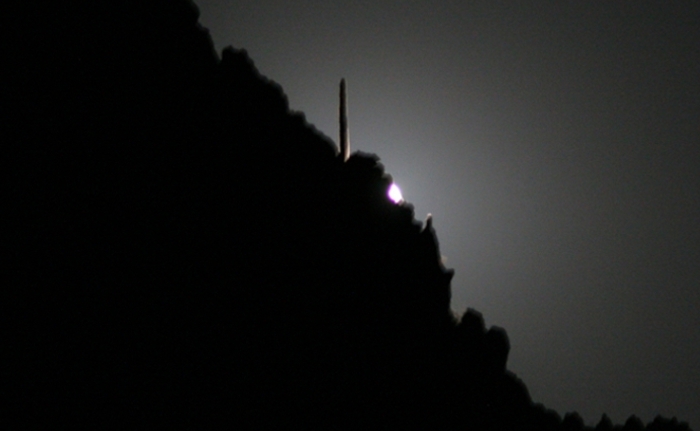 One of my favorite astrophoto-ops is catching a saguaro cactus or other interesting flora silhouetted by the Full Moon. There’s a nice one in my June 23, 2014 post. Unfortunately, as the slideshow reveals, I got zilch on this attempt. But when I analyzed my fail I learned something that might be of interest, especially to photographers. Knowing when and where to look for these rare alignments is a matter of having the right astronomical software. I use the open source Cartes du Ciel. It can show me the sky in any direction, at any time and date, from any location on Earth. 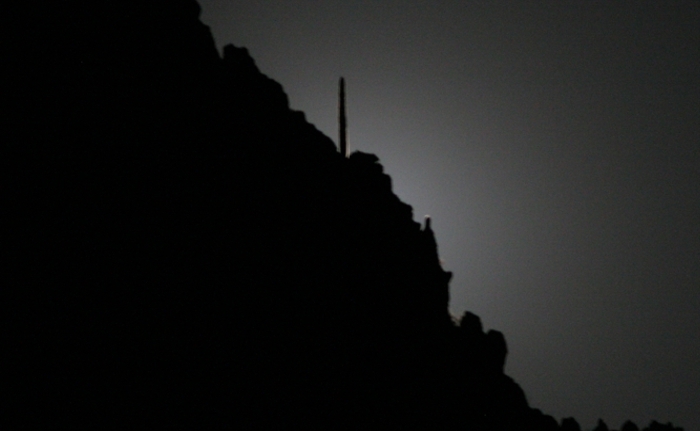 So when it told me there was a good chance to catch the rising Moon behind one of the many large saguaros on Gavilan Peak, a mountain half a kilometer to the east, I started planning. 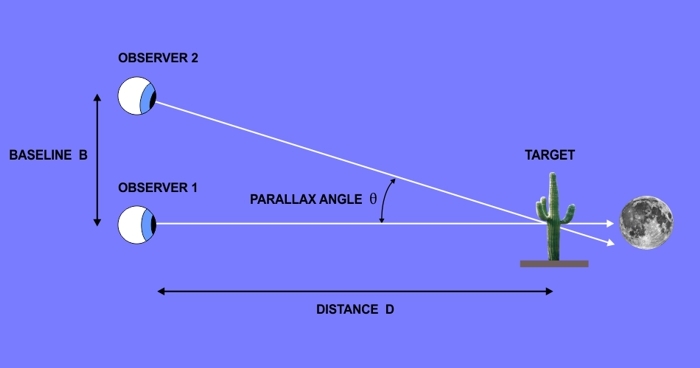 2.3° might not seem like much of a shift in line of sight, but the Moon has an angular size of only about 0.5°, so moving from one end of the baseline to the other amounts to 5 Moon-diameters of shift. That leaves a lot of room for error with alignment. In practice, Cartes du Ciel tells me the exact azimuth (compass heading) at which the Moon will rise. 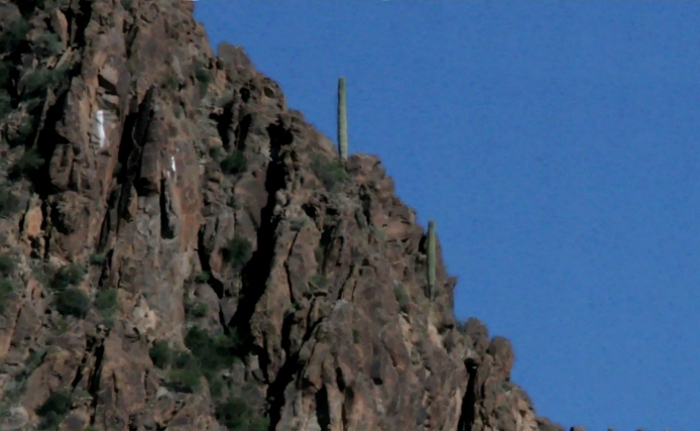 So what I have to do is ensure my camera is pointing in that direction and see if there are any good saguaro in the FOV. If not, I shift my tripod left or right (maintaining the same azimuth) until I see what I want. This is much easier to do when using a telescope, where setting the azimuth is a matter of reading a digital or engraved scale. But with a basic tripod you have to use a magnetic compass and eyeball the direction. 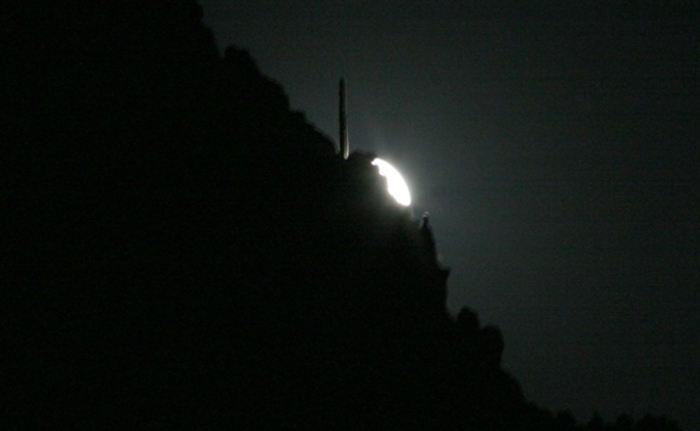 The Moon moves its own diameter (0.5°) through the sky in 2 minutes. The glow of the Moon extends for several degrees around it, even on a clear night. So there’s a brief period of time when you can see the glow of the not-yet-risen Moon, estimate where it’s going to appear, and adjust the camera position accordingly — maybe 2–3 minutes. I’ve done it on occasion, but it’s always a frantic race to relocate and level the tripod, aim the camera, check the focus, and trip over the dog. You can work the geometry backwards and see that my miss of about 0.4° could have been corrected by shifting the tripod a mere 3.5 m to the left. But I thought from the glow (image 2/4 in the slideshow) I surely had this one nailed. Alas, in the words of the inimitable Maxwell Smart — missed it by that much.